Grace | "Hopefully we can start launching the season" BulldogsTV spoke to VFL coach Steve Grace after his sides win during VFL round 11 against Coburg. Developing forward Fergus Greene has enjoyed a sound start to the 2018 season, booting eight goals across nine VFL appearances. Developing forward Fergus Greene has received praise from VFL coach Steve Grace after his impressive start to the 2018 VFL season. Playing all nine games for the ‘Scray so far in 2018, the 20-year old has made regular appearances on the best afield list, stepping up at crucial times and booting eight goals this season. 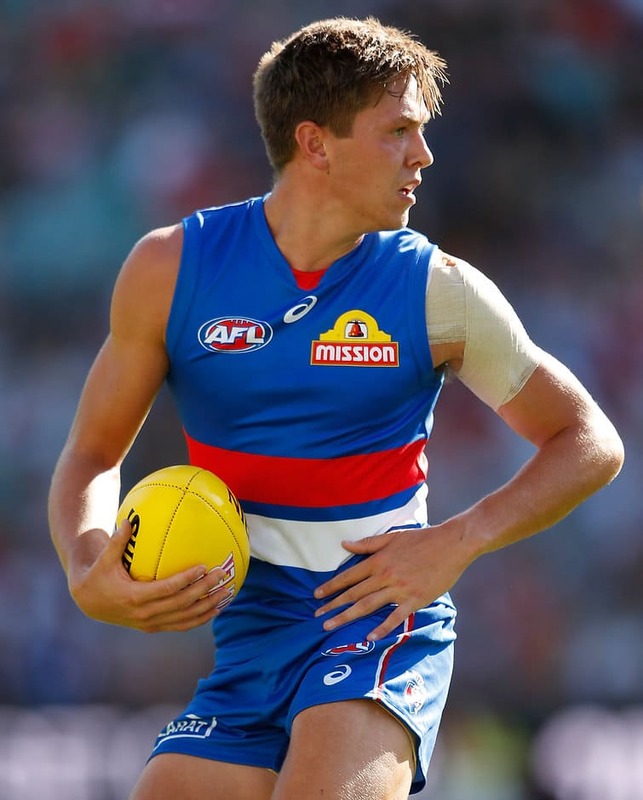 Footscray Bulldogs VFL coach Steve Grace commended Greene on his development over the 2018 season, after an injury interrupted 2017. “Fergus has shown a lot of maturity, he’s been displaying that most weeks and has been incrementally getting better, we’re super pleased with his ability to stand up at really important times,” said Grace. A dynamic forward with the speed of a midfielder, Greene has taken his game to a new level in 2018, moving onto the wing when required, sharing the load with the Club’s talented crop of midfielders. “We’re trying to increase the amount of time he plays on the wing, as well as being a forward, because he has a great running capacity and has the ability to influence the game in a number of ways,” said Grace. Greene’s best performance this season came during the Round Nine clash with Essendon, where he booted 2 much needed fourth quarter goals to seal the win at VU Whitten Oval.